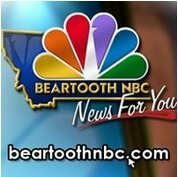 News TV Channel / KTVH-DT is a full-service television station serving Helena, Montana and the surrounding area as an NBC affiliate, broadcasting on virtual and VHF digital channel 12. The station ceased its analog broadcasts on November 10, 2008. The station is owned by Cordillera Communications, and is a sister station to low-powered CBS affiliate KXLH-LD. KTVH is simulcast on KBGF-LD channel 50 (Charter Spectrum cable 6) in Great Falls.